The days are getting short and the nights are getting longer, at least that’s the way it feels with the lack of daylight hours. In fact, the shortest ‘day’ of the year, also known as the winter solstice is less than a week away. For us in the Pacific Northwest, winter often means the rain comes down faster and colder. While, it often doesn’t snow very much, it can get icy and being prepared for a cold, icy, snowy and wet winter is the best way to safely make it through it till Spring. For our elderly loved ones, or loved ones with limited mobility, winter weather can pose many risks including but not limited to hypothermia, slips, trips, falls, social isolation, seasonal affective disorder, the flu and for those who suffer from dementia, sundowner’s syndrome. In the next few weeks we will discuss each of these particular risks in detail and explore ways to keep your loved one healthy and safe this winter. We will start our winter series this week by exploring the risks associated with hypothermia. According to the Missouri Department of Health, hypothermia is “defined as a drop in body temperature to less than 94.1° F as a result of exposure to cold weather or a cold natural environment. A study conducted by the Center for Disease Control from 2006-2010 found that 10,639 people across the nation died as a result of weather. While 3,332 of those deaths were attributed to heat, an astonishing 6,660 or 63% were attributed to cold weather. Furthermore, on a scale of deaths per million, the average deaths between age 0-64 were 12 per million, however for those 65 and older it increases exponentially to an average of roughly 50 per million. Even though these statistics may seem dreary, taking simple precautionary steps can go a long way in reducing your risk. 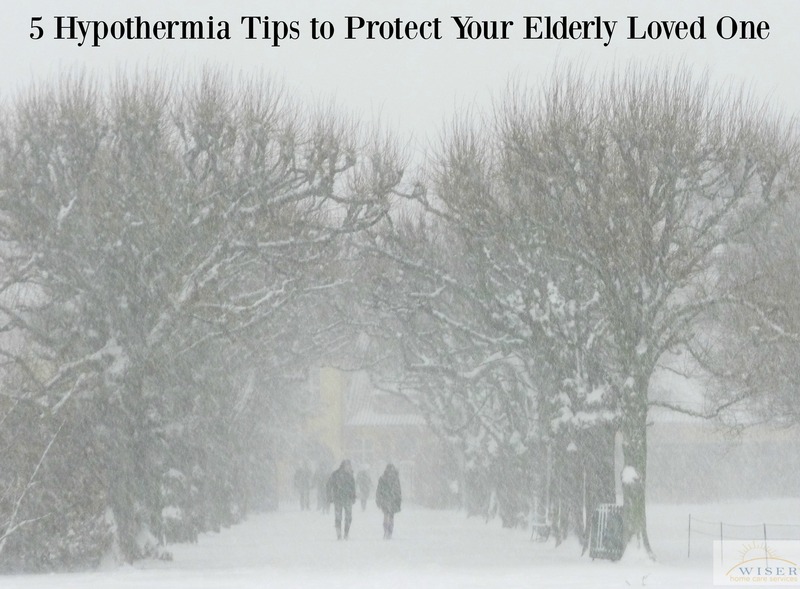 Keep the inside temperature of your elderly loved one’s house above 68 degrees. Dress your loved one appropriately. Making sure they dress in layers including long johns helps regulate temperature and keeps them from getting too cold. Always have an extra blanket around. During the day if your loved one has limited mobility make sure they have a blanket to keep drafts away and at night give them extra blankets since temperatures tend to drop. Help your loved one stay active. Getting them up to move around will keep the blood flowing and their bodies at a comfortable, healthy temperature. Avoid going outside in extreme cold or windy conditions. If you must, layer them up. If you are worried about a loved one this winter or would like help ensuring their safety, don’t hesitate to contact us. Wiser Home Care Services can help your family establish a care plan to personally accommodate your loved one’s needs and help prevent hypothermia or any other wintry risks.